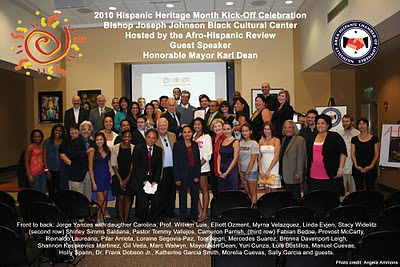 and the Afro-Hispanic Review. Photo by Angela Ammons. 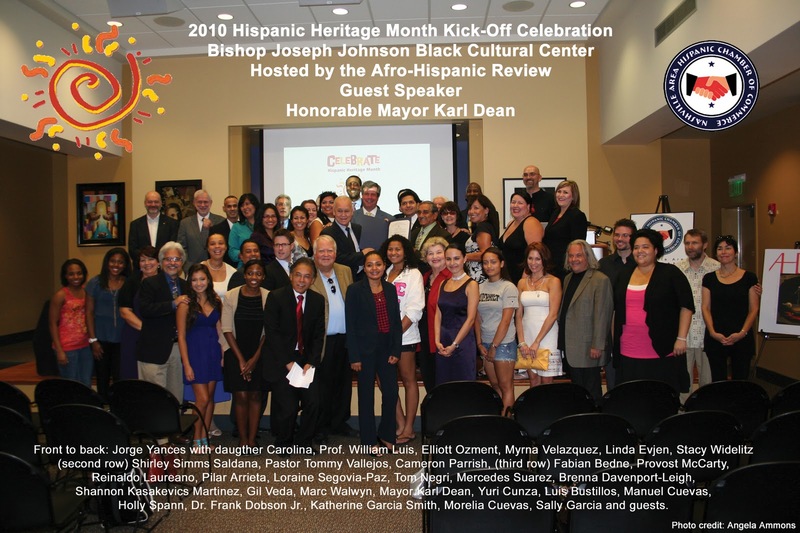 Nashville Mayor Karl Dean recently spoke at Hispanic Heritage Month kickoff events for the Nashville Area Hispanic Chamber of Commerce and the Afro-Hispanic Review (photo above), as well as the Middle Tennessee Hispanic Democrats. Nashville is a special place for a lot of reasons: it's a special place because we've got great universities...health care capital of America...the center of music...hospitality and tourism... but what really makes us a great city to live in is the people of Nashville. It's the fact that we are a friendly place. I'm a transplant myself. I didn't come quite as far as some people other did to come here. I came from a very foreign, distant place called Massachusetts. But when I got here - I got here in 1978 - I got here as fast as I could - people would say to me at Vanderbilt Law School, they would ask, How are you? When I had a cold, they'd say, are you OK? It took me a while, I was a little uncomfortable with that. But something occurred to me: they are actually interested and they actually care. If you're a Nashvillian, you get the sense that that we are special because we are a friendly city. Travel & Leisure magazine has said repeatedly that we are the friendliest city in the United States. And to be a friendly city, when there's a flood, you take care of your neighbors and you take care of your fellow citizens. And if you're a friendly city, when there's something like English Only, you say no. You say we're for diversity, we're a friendly city, we're a welcoming city, and that's who we are. What an incredible thing to be known for - to be a friendly, open, welcoming city.